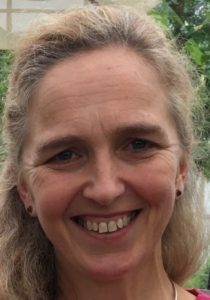 Dr Romanie Dekker is a psychiatrist who works in Oxfordshire with people with intellectual disabilities. She completed her medical degree and graduated in 2011 as a medical doctor in Amsterdam, the Netherlands. at the VU Vrije Universiteit Medical Centre. She has since worked in child and adolescent psychiatry at the Bascule in Amsterdam (both inpatient and outpatient), and at Inforsa, a psychiatric intensive care unit for patients with severely disturbed behaviour in Amsterdam. She has continued to work in psychiatry in Oxfordshire since moving to the United Kingdom in 2013, including in general adult psychiatry, older adult psychiatry, psychotherapy and group psychotherapy, intellectual disabilities psychiatry and the early intervention psychosis programme. She became a Psychiatrist and member of the Royal College of Psychiatrists in 2016, and is specialising in working with people with intellectual disabilities. Her special interests include autism and psychotherapy. Nic has held various roles within health and social care and has experience working across the private, public and charitable sectors. 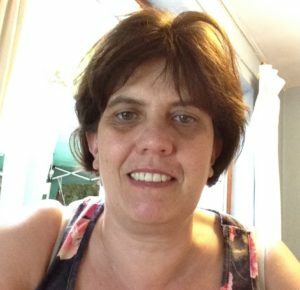 Having gained a BSc (Hons) Psychology degree in 1996 from Warwick University, her focus since then has predominantly been in supporting individuals with learning disabilities and autism. As an advocate in person centred planning, she is driven to ensure that the person is at the centre of their care, and in making reasonable adjustments to support inclusion. In the past, she has been involved in setting up new social care services, working closely with individuals, their circles of support and stakeholders across the wider system. Nic has also been a domiciliary care CQC registered manager and a team manager for specialist health learning disability community teams. Nic has previous experience working for a business psychology consultancy, where the focus has been on playing to people’s strengths and in bringing the best out of people in the workplace. She is also a qualified psychotherapeutic counsellor. Nic currently works as a service change manager within the Oxford Health Learning Disabilities Transformation Team, and is involved in a variety of projects with service improvement and development very much at the heart. In her spare time, she loves to travel and spend quality time with family and friends. BSc (Hons) Emergency Care DipHE RN(A). Stephen has recently joined Oxford Health NHS Foundation Trust after twenty years in the Royal Air Force. During his service, he has worked in various medical roles both in the UK and on operations. He is an emergency care nurse and specialised in battlefield casualty evacuation (leading teams in delivering advanced trauma in austere environments). Stephen has also held roles with the army medical headquarters, where he planned and delivered large scale macro/meso simulation for defence healthcare validation and assurance, most notably the UK response to the Ebola outbreak in Sierra Leone (2015), and the UN mission to South Sudan (2017-2018). He has also held the senior training manager position with the Royal Air Force medical services – designing and delivering general and specialist aeromedical training to the RAF and defence. Before 2015, Stephen worked in NHS Trauma Centres in the UK as an RAF Nursing Officer; undertook multiple deployments to Iraq and Afghanistan; and was seconded to the NHS Staff College, London, developing leadership within the NHS. Stephen now works as the Preceptorship Lead within Learning and Development for Oxford Health. Dr Angus McLellan is a psychiatrist in training, currently working in Buckinghamshire who will be working with Oxford Healthcare Improvement for one year as part of the scholars’ programme. 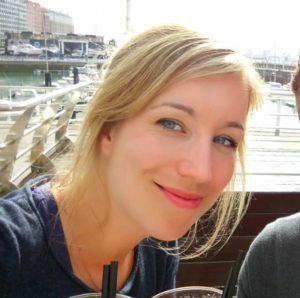 Angus graduated from the University of Glasgow in 2013 and then worked for two years as a foundation doctor across several specialties in Glasgow and then in Oxford. 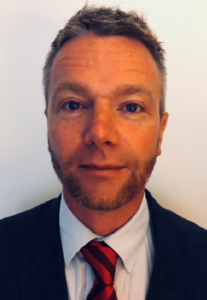 Over the last three years, Angus has worked as a psychiatrist in Oxfordshire and Buckinghamshire and has worked with adults of working age, young people and older adults in both inpatient and outpatient settings. Angus has worked on a number of quality improvement projects around antipsychotic prescribing, episodes of seclusion and physical health monitoring. Angus has a particular interest in the interactions between physical and mental health care and the impact these interactions can have on wellbeing. Angus is looking forward to learning more about quality improvement and its implementation, and hopes that programmes such as this will drive ongoing improvement throughout healthcare services now and in the future. 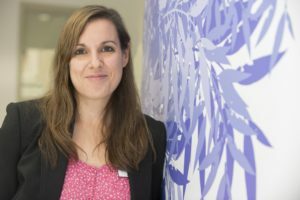 Beatrice began working as a speech and language Therapist in the Oxfordshire Adult Learning Disability Team in 2015 and now works as joint clinical lead for speech and language therapy within this team. She welcomes opportunities to continue her professional development and has completed the Oxford Health Leadership Development Programme over the past year, completing a quality improvement project as part of this which aimed to improve inclusion for people with learning disabilities within a community setting. She enjoys attending professional conferences, including the ‘Communication Matters’ roadshow and UK Swallowing Research Group conference. She also attended the RCSLT/NIHR dysphagia priority setting workshop, where she strongly promoted the research of dysphagia in mental health and learning disabilities. She also previously researched and promoted the role a speech and language therapist has in a mental health setting, presenting this at the 2015 University of St Mark and St John’s student speech and language therapy conference. She is involved in several projects within the trust, including the ‘look at me’ project, working with the Patient Safety Agency, (which aims to reduce deaths from aspiration and choking in adults with learning disabilities). She is also involved in work around improving transition from children’s to adult services. Kelly worked for seven years in social care as a care & assessment officer and unit manager for people with Alzheimer disease and dementia before qualifying as a mental health nurse in January 2002. Since then, Kelly has worked in Devon as a mental health nurse in a variety of settings, includingacute in-patient services, psychiatric intensive care settings, forensic settings, drug and alcohol services, home treatment team, assertive outreach service, and community mental health. In 2005 Kelly left Devon and started with Oxford health NHS Foundation Trust in January of that year: she has continued to build her experience across services both clinically, within project management and service improvement. Kelly also has a Masters degree in strategic management and leadership, for which she researched leadership in crisis situations. All of this experience led to her current post of clinical practice lead, and she hopes that this scholars programme will support her continued development. BSc (Hons) Physiotherapy, Chartered Physiotherapist. Soo trained as a physiotherapist in University of Birmingham in 1998. She is passionate, committed and driven to deliver improvement, quality and safety for patients. She has special interests in rehabilitation, ambulatory care, community services and older people care. She us also equally interested in leadership, operations and management. She is currently the operational manager for a group of four ambulatory units (Emergency Multidisciplinary Units, Hospital at Home and Rapid Access Care Unit) at the Oxford Health NHS Foundation Trust. Soo continually seeks to understand strategy, cultivate authentic leadership and find ways to apply this to day to day operational activity and clinical leadership. She motivates and challenges herself and team members to think ‘outside the box’ and be broad thinkers and pioneers in identifying new initiatives and improvement opportunities. She has an inquiring mind and enjoys analysing and synthesising ideas and information. She is well-known for being the go-to person for change and improvement. Soo believes in creating the capacity for dialogue, engagement, diversity and inclusion. She strives to build an environment of empowerment for the patients, staff and teams. She enjoys coaching conversations and encourages critical reflective thinking to engage all levels of the team to work together for the benefit of patient. She is currently completing a leadership programme for senior leaders with NHS Leadership Academy. Katie holds a first degree in business studies and a Masters degree in building technology, with a specialism in indoor air quality and sick building syndrome. During the completion of her Masters, Katie also worked as an assistant lecturer at Massey University in New Zealand. Following completion of her Masters, Katie moved from New Zealand to Ottawa, Canada to work for the federal government (Public Works and Government Services Canada), undertaking indoor air quality investigations of government buildings and managing remediation projects. 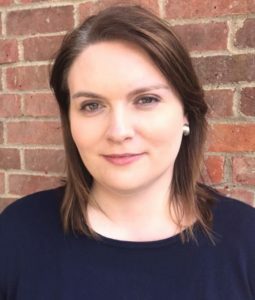 Katie moved to Oxford in 2003 and has worked for the NHS for 14 years in various roles including complaints, clinical governance and public health (health improvement and emergency preparedness, resilience and response). Katie is the emergency planning lead for Oxford Health NHS Foundation Trust and has held this role for five years. During this time Katie has also managed various projects and is a PRINCE2 practitioner and change management practitioner. Most recently, Katie has been part of several working groups, formed by NHS England to review and develop national emergency preparedness, resilience and response guidance. Priti qualified as a registered physiotherapist in 2000 and completed her post graduate studies in 2002, specialising in orthopaedics with special interest in women’s health. She has worked in many clinical areas of physiotherapy since 2003, including acute and community inpatients, ITUs and community settings. Priti gained team management and leadership experience in community hospitals and community services including reablement and community physiotherapy teams. She has led the integrated community services in Buckinghamshire NHS Trust, and has been a clinical educator for Oxford Brookes and Coventry University for four years. In order to broaden her leadership and management skills, she completed a MBA from Henley Business School in 2012. As a part of the MBA course, Priti undertook consulting assignments in China and South Africa working for non-profit organisations. For her final MBA dissertation, she undertook a six month consultancy project with Pentax Lifecare Ltd, leveraging relationship marketing. Following the management degree, she worked for the CQC’s hospital directorate in a regulatory role as a compliance inspector where she participated and led different core services in approximately 20 inspections, including acute and community NHS trusts, ambulance trusts and independent healthcare providers. 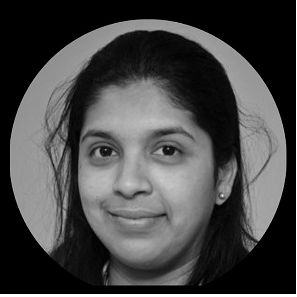 Priti now works as the Lead for Quality and CQC Standards for Oxford Health NHS Foundation Trust since May 2016 and also manages the Trust-wide clinical audit team. Preeteema qualified as registered mental health nurse in 2004 and has since worked in the NHS in various mental health settings, including acute adult ward, community team and forensic wards. She joined the forensic service in 2007 and spent seven years working as a charge nurse in an inpatient forensic setting as part of front line clinical staff. During this time, she also undertook a B.Sc in psychosocial interventions for psychosis with the Thames Valley university. The focus of her service improvement as part of the B.Sc programme was on symptoms management group. Preeteema went on to work as a ward manager for a standalone inpatient unit from 2013 to consolidate her management and leadership skills. She is currently working as a matron for two low secure units and has done so for last three years, a role which enables her to influence practice as well maintain clinical contact with patients and families. Jessica is currently the clinical lead for the community therapy service in south west Oxfordshire. She is very pleased to be part of the Oxford Healthcare Improvement team on the allied health professional scholarship programme, and relishes the opportunity to contribute to improving community care. Jessica trained as a physiotherapist at the Middlesex Hospital, qualifying in 1989. It was there that she discovered her love of community work while completing her assignment for her degree. She then worked at the Central Middlesex Hospital in London and at St Luke’s Hospital in Headington, gaining experience of a general hospital in acute wards, outpatients musculoskeletal and geriatrics as well as running her own domiciliary practice for ten years. 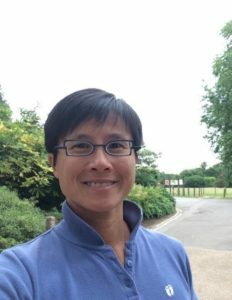 She joined Oxford Health in 2001 as a community physiotherapist and has had a wealth of experience in this area including working in community, day hospital, intermediate care beds, hub beds, being a student educator and clinical coordinator. Jessica completed a post graduate certificate in Innovations in health care settings in 2017 at Bucks New University. She is involved in the community therapy service review and uses her knowledge of improvement science to make positive changes to the service. Jessica is a steward for the Chartered Society of Physiotherapy and is coaching on the Oxford Health leadership course. Linda worked for South Central Ambulance Service (SCAS) for 24 years before joining Oxford Health in May 2015. She is a qualified paramedic and has held a number of operational management roles. Linda spent many years running the Trust’s scheduling department which dealt with rostering, leave allocation, training for frontline operational staff and the Emergency Control Centre. In her last 2 years with the Trust she worked as the Emergency Services Manager for Oxfordshire which involved operationally managing 250 staff over 4 stations, as well as managing relationships with other NHS organisations and the CCG. She was the Mental Health lead for the area, regularly attending PIP meetings with Oxford Health and TVP and joined the project group introducing Street Triage into the area. She also met regularly with the Emergency Department team at the OUH. Sib has worked in the NHS for the last 13 years, starting as a healthcare assistant prior to qualifying as an RMN. She has worked in male and female adult acute wards since 2010. 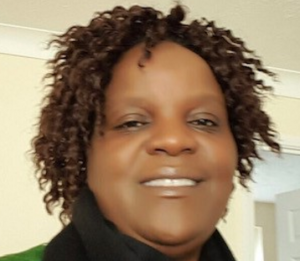 Sib worked as ward manager for a 26 bedded male acute ward for East London NHS FT prior to her recent appointment in Oxford Health (June 2018) as Modern Matron for Ruby Ward at the Whiteleaf Centre. She is very excited to be part of the Oxford Healthcare Improvement Scholars to improve her clinical and leadership skills in improving the quality of care for service users. 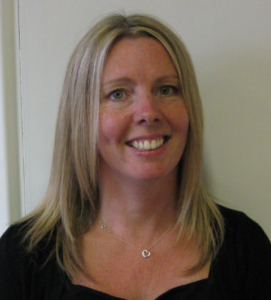 Sandra began her career at the Nuffield Orthopaedic Centre as a Clinical Effectiveness Facilitator. This role entailed: undertaking clinical audit projects, teaching and training on clinical audit for all staff and collecting, analysing and disseminating audit results. In 2008 Sandra joined Oxford Health as a Quality & Audit Officer with her role focusing on both national and trustwide audit projects. She has extensive experience in using a number of different electronic patient care records as well as being confident in using excel features such as pivot tables and graphs to illustrate key findings. 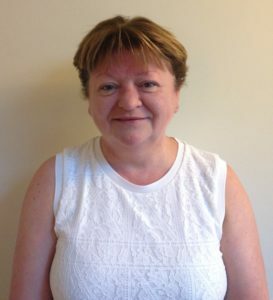 Most recently Sandra joined the Trust’s Older People’s Directorate as a Quality & Clinical Standards Facilitator. Her prime focus in this role is patient safety, managing risks and supports the clinical teams in driving a quality culture through continuous improvement. 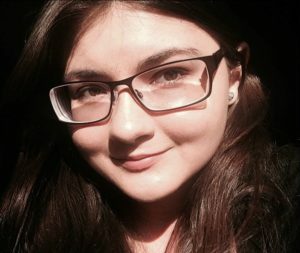 In 2018 she joined the OHI’s first Improvement Scholarship cohort. Dr Clare McGivern is a psychiatrist based in Oxford at Cotswold House Adult Eating Disorders Service. A medical graduate of National University of Ireland Galway, she commenced her psychiatry training on the Saint John of God, St. Vincent’s University Hospital, UCD Basic Specialist Training Scheme in Psychiatry, Dublin in 2013. In 2016, she became a member of the Royal College of Psychiatrists. As a higher specialty trainee in psychiatry in Northern Ireland, she further developed an interest in eating disorders through working in liaison, community and inpatient psychiatry. Clare holds a higher diploma in psychotherapy studies and is interested in the psychological management of eating disorders. With experience in leading change, she has collaborated with colleagues in service development and she has led on a number of quality improvement initiatives that have enhanced patient experience and contributed to improved patient outcomes. Throughout her training, Clare has been involved in teaching and she holds a masters degree in leadership in health professions education.